Your bathroom should be more than the place whereby you wash your hair and brush your teeth. It should be your peaceful sanctuary. It should be the place that provides you with relaxation and comfort when you get in from a difficult day at work. If your bathroom does not provide this level of comfort and serenity, it is time to make some changes. Read on to discover some bathroom interior design suggestions that will make a big impact. Invest in a statement mirror – There is only one place to begin, and this is by investing in a statement mirror. A statement mirror can do more for your bathroom than you realize. If you look online, you will see that there are so many glamorous and unique designs to choose from. Not only will this add some serious style to the bathroom, but also it will open up your bathroom space making it appear bigger and more welcoming. This is especially important for bathrooms that are awkwardly shaped and do not get a lot of natural light. Instead, the UV rays will bounce off the mirror and back into the room, opening it up and transforming the space. A new bath or shower – Focus on the most important elements in your bathroom – your bath and your shower, if you have both, of course. These are the two critical bathroom elements, and so any changes you make in this regard are going to have a massive impact. But, what if you cannot afford a glamorous walk-in shower or a luxurious deep soaking bathtub? Well, you can still make an impact. Why not look for unique shower bases? Changing an element like this is not as expensive, but it still gives you the opportunity to create an entirely new look and feel in the room. Create a theme – Most bathrooms are boring. They are white and have no standout features, apart from a few colorful towels that are hanging off the rail. Does this sound familiar? If so, it is time to add some color and excitement to your bathroom. Choose a theme to inspire your new bathroom design. This could be anything from Moroccan style interiors to bringing a touch of metallic and brass into the bathroom. You can use the likes of Pinterest and Instagram for inspiration so you have something to base your ideas off. So there you have it: some changes you can make to your bathroom that will make a big difference. 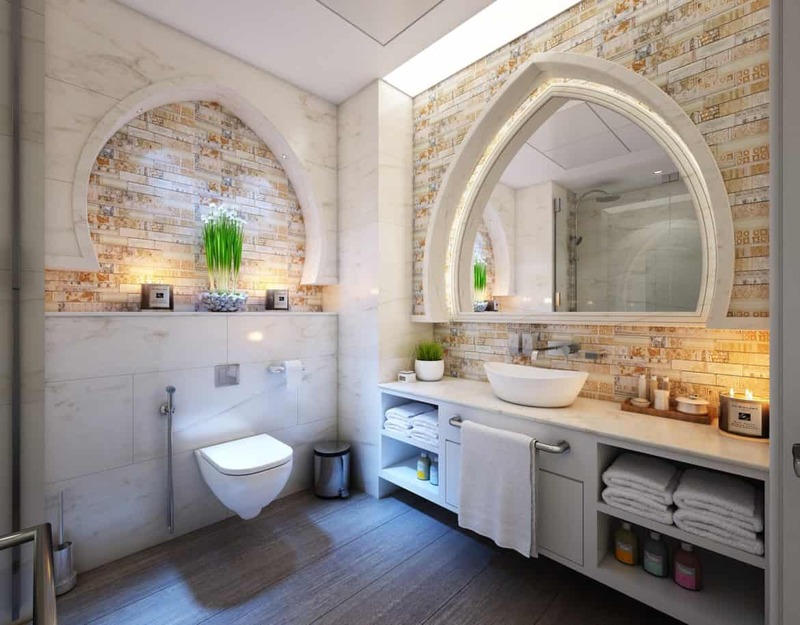 Not only will these changes make sure that your bathroom looks stunning and stylish, but they will have a profound impact on the ambiance and the way you feel when you are soaking in the bath after a hard day in the office.